Fantastic food, great atmosphere and superb value for money. My second time here, and this group of friends all commented it was a great choice and will be back. Move over dim sum and tapas, Spuntini is the hearty Italian version of small plate dining. And following the success of its West End venue, La Viva Spuntini has opened a second branch on Gordon Street. The restaurant aims to conjure up the atmosphere of a cosy Italian family meal where dishes are placed at the centre of the table for everyone to share. All food is crafted with passion, love and attention to detail, with candlelight and friendly staff adding to the atmosphere. The menu is massive and includes sharing portions of fresh pasta, mini pizzas, seafood, meat and salads, complemented by an extensive selection of fine wines. Tapas at La Vita Spuntini is split into various categories, most of which will be familiar from typical Italian restaurants (although in this case, dishes are there to be shared). Highlights from the vegetable & salad section include the burrata hand-tied mozzarella and the deep-fried risotto balls stuffed with cheese. Pizzas are served in 5 or 12-inch portions and cooked in a wood-fired oven. Choices include the pizza bolognese with mozzarella & green chillies, the New York with Italian meatballs & spicy sausage and the locally influenced Scozzese with Stornoway black pudding & pepperoni. Sharing pastas include the lobster ravioli with Napoli cream sauce & chilli, the pollo carbonara with rich cream sauce & bacon and veggie choices like the fusilli rosso with red pesto & mascarpone. Over in the seafood section, you can take your pick from dishes such as the deep-fried calamari, the king prawns in chilli, garlic & lemon juice and the fresh West Coast mussels in a choice of sauce. A novel highlight is the selection of Italian oven-baked egg dishes served in a frying pan with crusty garlic bread. The eggs in Italian meatballs & borlotti beans sounds particularly decadent. Don’t fancy sharing? No one will judge — you can also order a main course just for yourself. All mains are cooked in a flame charcoal oven for barbecue flavour, such as the grilled Scottish sea bass and the supreme of chicken breast. 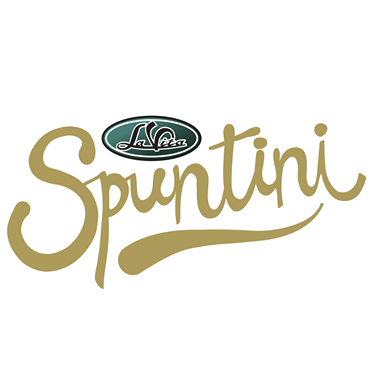 La Vita Sputini could not be more centrally located — it is right next door to Glasgow Central station and just five minutes from Queen Street station. After dining here, you will be handy for Glasgow Royal Concert Hall, the Theatre Royal and Cineworld Cinema, as well as all the main shops. Both stations have taxi ranks and St. Enoch underground is just a stroll away. You can find pay parking nearby on Mitchell Street. selection of mixed crostini flame roasted, tomato bruschetta, salami spread and mozzarella, quattro formaggio, bruschetta peperonata, crostini di fegato. olives, served with balsamic and extra virgin olive oil dip. virgin olive oil and balsamic vinegar. rosemary and pesto with a tomato sugo dip. fresh vegetables in a traditional Italian soup. olive oil, fresh basil and topped with tomatoes. mixed peppers infused in olive oil and garlic. crusty homemade Italian bread topped with very spicy salami spread and mozzarella cheese, flame roasted in our wood stone pizza oven. crispy polenta chips fried and sprinkled with fine flakes of Parmesan. delivered from Italy every week directly to La Vita. Hand made mozzarella basket hand tied, with a soft cream released when cut open. Served with sliced cherry tomatoes and dressed with extra virgin olive oil, fresh basil, lemon zest and balsamic. Grilled asparagus sprinkled with sweet balsamic and Parmesan shavings. Italian stew with mixed peppers and olives in a basil tomato sugo. tomato and grated parmesan oven roasted. panko breadcrumbs, served with spicy arrabiata dip. stuffed thin focaccia bread with sautéed spinach and mozzarella cheese brushed with extra virgin olive oil and fresh rosemary with parmesan crust, oven baked and served with Napoli dip. rocket salad marinated with olive oil and chilli topped with parmesan shavings and balsamic. roast potatoes with herbs tossed in a garlic Napoli sauce. deep fried balls of risotto rice and Napoli sauce stuffed with mozzarella cheese coated in breadcrumbs served with dip. Italian mixed salad with our own house dressing. thin cut potato chips deep fried in vegetable oil. served with a spicy tomato dip. Truly fantastic! a thin base pizza topped with tomato and mozzarella cheese. thin base pizzette pizza with sprinkled mozzarella. thinly sliced San Danielle Parma ham rugola salad topped with Parmesan shavings on a bed of tomato sauce. of tomato sauce and 100% shredded mozzarella. on a base of mozzarella cheese and tomato sauce. san marzano sugo topped with roasted peppers, courgettes, aubergine and jalapeños, sprinkled with mozzarella cheese. handmade Italian sausage and thinly sliced red onion with san marzano tomato sauce, sprinkled with 100% shredded mozzarella. of pesto! What can you say? Fantastic! mascarpone cheese and Parma ham, on a thin base pizzette pizza with tomato sauce. Italian meatballs and spicy Italian sausages served on a bed of tomato and topped with 100% mozzarella cheese. bolognese sauce topped with mozzarella cheese and jalapeño green chillies. sausage topped with 100% shredded mozzarella. with crumbled Italian sausage and sliced pepperoni. with chicken breast and wild field mushrooms. with artichoke and sliced pepperoni sausage. with sliced beef and red chillies. tomato sauce, and drizzled with extra virgin olive oil. Italian crumbled sausage and sliced pepperoni sausage pan fried with pesto and garlic tossed in a romano sauce of tomato and cream mixed with De Cecco penne pasta. red pesto and mascarpone cheese sauce served with rocket and fresh parmesan cheese mixed with twisty De Cecco pasta. La Vita’s very own best seller; chucks of chicken, broccoli, mushroom, garlic, cream and hint of chilli. a hot and spicy tomato sauce, cooked with chillies and fresh basil leaves. cherry tomatoes, finished in a cream sauce. and olive oil tossed in a thin long pasta. Italian meatballs made to our own recipe in a rich san marzano sugo sauce. Italian sausage, pine nuts, olive oil, wild mushrooms, fresh garlic and sun dried tomatoes, finished with balsamic vinegar. in a garlic, red chilli, cream and tomato sauce. meat ravioli baked in a creamy pesto sauce and finished with cherry tomatoes, please try this any you’ll never go on a diet again! Guaranteed. a delicate flavour or a white wine herb cream sauce. béchamel cheese sauce and tomato, oven baked. sauce topped with a spray of pesto on top. whole supreme roasted of chicken butterflied and served on a bed of pasta noodles, topped with a rich cream sauce with bacon. and served with a napoli cream sauce with a touch of chilli to give it a little kick, garnished with a dressed rocket salad. fresh smoked bacon, pine nuts, savoy cabbage, feta cheese, olive oil, garlic and finished with parmesan cheese totally wonderful and full of flavour. chunks of chicken, courgettes, spinach, garlic, Parmesan cheese and cream. strips of Scotch beef sautéed in extra virgin olive oil and butter with fresh chillies, garlic, touch of pesto and sliced cherry tomatoes. Tossed with de cecco pasta tubes (La Vita Spuntini healthy option). and finished with peppery rocket (a spicy hot pasta). chunks of beef pan fried with mixed peppers and a touch of chilli, san marzano tomato sauce on Italian roast potatoes. and oven roasted, drizzled with balsamic vinegar. diced chicken breast and vegetable in Italian spicy stew served with fried dough sticks. seasoned lightly breaded and gently fried. served on a cream whole grain mustard sauce. Italian sausage with borlotti beans in a slightly spicy tomato sauce. deep fried balls of risotto rice mixed with a beef and pork ragu coated in breadcrumbs served with a dip. lamb chops oven roasted with an Italian herb crust. sauce with a secret twist to the chicken. duck and Stornoway black pudding with a red currant jus. ½ baby chicken roasted with garlic and rosemary. Italian pepperoni sausage and sliced potato frittata. Italian meatballs topped with mozzarella and Napoli sauce. chicken wings oven roasted, tossed with sticky sweet sauce and jalapeño peppers. a classic of La Vita Spuntini pasta sheets with meatballs, napoli and béchamel sauce. classic pork and beef ragu served with thin long pasta. rabbit cooked in a tomato and herb sauce comes mixed with potatoes. fresh chicken liver cooked with onion, sweet Italian wine blended until smooth served with homemade chutney and Scottish oatcakes. mozzarella cheese with crumbled Italian sausage wrapped in pastry gently fried served with arrabiata hot sauce dip. squid rings tossed in seasoned flour deep fried and served with a wedge of fresh lemon and garlic mayonnaise dip. baked monkfish and baby squid with tomato and touch of chilli sugo sauce. mixed seafood Italian stew slowly cooked in a san marzano sauce with fresh basil and red chilli. fresh west coast mussels in a traditional Italian tomato herb sauce or white wine cream sauce with chilli. king prawns in a chilli garlic lemon juice and spring onions served on a bed of homemade toast. 2 eggs oven baked in our casserole of Italian meatballs, borlotti beans, onion, touch of chilli and San Marzano tomatoes. 2 eggs oven baked in our casserole of roasted mediterranean vegetables, borlotti beans, onion, touch of chilli, pesto and cooked in a rich tomato sauce. 2 eggs oven baked in our casserole of crumbled Italian sausage, pepperoni sausage and spicy beef chunks with borlotti beans, touch of chilli cooked in a san marzano tomato sauce. 2 eggs oven baked in our casserole of mixed seafood, borlotti beans, touch of chilli, pesto and cooked in a rich tomato sauce. Please note that all dishes below are served as a main course for 1 person. All our meats fish and chicken main course dishes are cooked in a real flame charcoal oven to give a true BBQ flavour. 9oz Scotch bread fillet steak butterflied with Stornoway black pudding covered with a cream peppercorn sauce. Slow cooked pork belly from award winning Ramsey of Carluke. Served with a light sauce of parma ham, garden peas and mediterranean vegetables. fantastic 9oz Scotch fillet steak cooked to your liking with half lobster in a cream sauce with a touch of chilli, served with Italian roast potatoes. supreme of chicken breast butterflied and stuffed with hot and spicy salami spread with mozzarella cheese wrapped with bacon served with pesto potato mash and san marzano tomato sauce. supreme of chicken breast in breadcrumbs pan fried and served with spaghetti arrabiata (chilli, onion & tomato sauce). Finished with parmesan shavings. (please note no side order with this dish). escalopes of chicken breast topped with san danielle salted parma ham and bocconcini Italian mozzarella finished with a white wine and sage sauce. Served with tuscan roast potatoes. supreme of chicken breast wrapped with Stornoway black pudding and mozzarella cheese pan-fried in a white wine, mustard, whisky cream sauce, served with French fries. grilled Scottish sea bass fillets served with a fricassée of Shetland mussels and spring vegetables, finished with lemon and pesto. a darne of oven baked Scottish salmon, served on a bed of seafood Italian risotto sautéed in a white wine butter sauce with a touch of chilli and dressed with fresh parsley (light and wonderful). [an-fried sea bass fillets served on a bed of mash potato and Stornoway black pudding drizzled with a spinach and cream sauce, sprinkled with fresh chives. fresh Scottish mussels, cooked in a tomato herb sauce and served with a touch of chilli or cream and white wine sauce with chilli (please allow 15 mins to cook). with the best kalamata black olives and nocellara green olives, served with balsamic and extra virgin olive oil dip. foccacia, Italian bread sliced served with extra virgin olive oil and balsamic vinegar. garlic bread toasted like mamma used to make. pizza base brushed with olive oil, garlic and rosemary and pesto with a tomato sugo dip. toasted Italian homemade bread drizzled with garlic, olive oil, fresh basil and topped with tomatoes. 2 eggs oven baked in our casserole of roasted mediterranean vegetables, borlotti beans, onion, touch of chilli, pesto and cooked in a rich tomato sauce. Served in frying pan with crusty garlic bread. pizza base with red pesto, red onion and cherry tomato with mozzarella cheese. with burrata cheese, fresh basil leaves, san marzano tomato sauce, and drizzled with extra virgin olive oil. with burrata, mascarpone, gorgonzola and Scottish cheese, finished with a sprinkle of parmesan. tomatoes and dressed with extra virgin olive oil, fresh basil, lemon zest and balsamic. artichoke served with pine nuts and thick pesto dressed with parmesan shavings. Fresh fiori di latte mozzarella direct from Italy coated with panko breadcrumbs, served with spicy arrabiata dip. with parmesan shavings and balsamic.